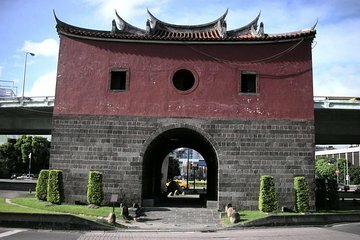 Discover one of Taipei’s most evocative and history-rich areas when you go on a half-day, private walking tour of Dadaocheng. Meet your guide in the afternoon; over the course of your stroll, you’ll see a Qing Dynasty–era gate, the Xiahai Chenghuang Temple, a century-old tea shop, and much more. As you go, learn about the city and its history from your guide’s commentary. Then, cap off your explorations in the Ningxia Night Market: one of the oldest night markets in the city.